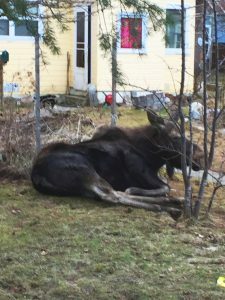 Not every city in America has a webpage entitled “There is a moose in my yard?” The City of Sandpoint does, with advice about what to do if a moose calls. 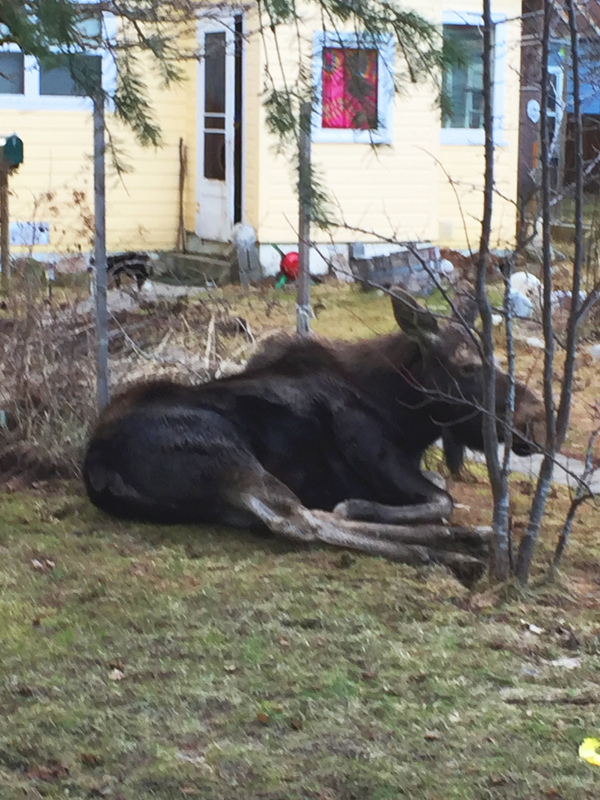 Obviously, moose are frequently seen in Sandpoint: wandering through back, front and side yards of homes in search of whatever it is that moose search for in urban areas. Or anyplace for that matter. Moose, Alces alces for you Latin speakers, are herbivores, and what they are mostly searching for are plants to eat and comfy places to digest them. It takes many plants to keep a moose going. On average, an adult moose needs almost 10,000 calories a day — 32 pounds of herbaceous stuff — to keep their ribs from showing. That’s a lot of ornamental shrubs and dahlias. A moose in town in the 1970s was big news, said Matt Haag, an Idaho Fish and Game conservation officer in eastern Bonner County for 12 years. Regional populations peaked in the late 1990s but many remain, loving the city life. The number of moose calls in Sandpoint has drastically declined in the past few years. How moose and hippopotamuses got in the same article, I don’t know, but you might gather from the quote that moose are not strictly a North American animal. They also populate the northern regions of Europe, all of Scandinavia and much of northern Asia. On the other side of the ocean, in whichever direction you choose to go, they are called “elk.” We will not discuss exactly why here, but it involves the fact that moose went extinct in Great Britain during the Bronze Age, and English settlers had never seen one before they landed at Plymouth Rock. Even though moose seem to be more present in the winter, moose are seen almost anytime in or near Sandpoint. A quick check of Facebook revealed a long string of moose/Sandpoint references, including a January 2016 video of a young moose visitor made from the front porch of the very company that publishes this magazine. Moose have been seen “shopping” on First Avenue; visiting ATMs on Fifth; hanging out in parking lots and yards on Janelle, Winchester, North and South Division, Larch, Hickory, Huron, Superior, Lake Street, Ontario, Michigan and Florence, and wading near Third Avenue Pier; in Sand Creek and a whole slew of other places. In fact, one by-now famous cow gave birth to twin calves in a backyard on Idaho Street a couple of years ago. She has raised them to her satisfaction and recently left them to their own devices in true moose fashion. 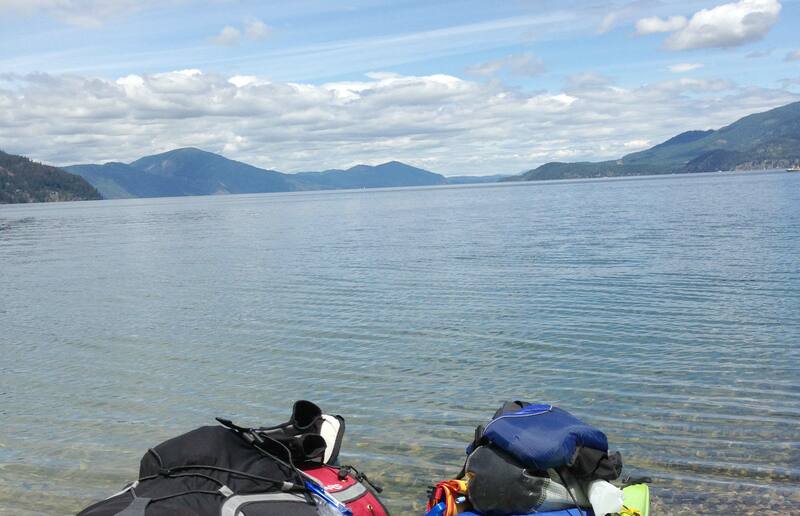 Almost all of the twins’ growing up took place inside Sandpoint or Dover city limits. Brad Smith has lived on three streets in Sandpoint, and the same moose family has visited all three places. Marla Groot Nibbelink lives on Third in south Sandpoint, near where the cow and twins began their fame. 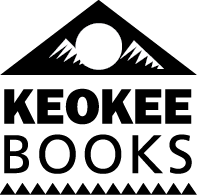 She has had a number of encounters with Alces alces. Good practice. 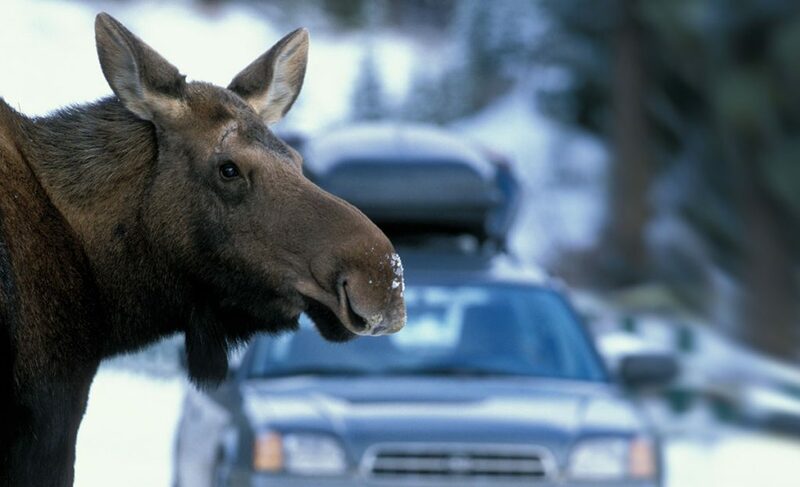 Moose don’t like dogs, and a cow with calves will go off on a barking dog faster than any other irritant. They may appear awkward, but moose are amazingly quick and agile and can lash out with both front and rear hooves with equal effectiveness. Remember, only hippopotamuses cause more damage to humans worldwide. And, maybe their dogs. Smith and his family took the right action one day when they came home and found moose in their front yard. They stayed in the car until the animals left. 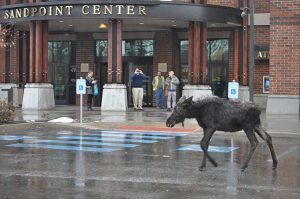 Sandpoint residents are seemingly getting wise to avoiding moose. In 2012, Sandpoint Police fielded almost 40 moose calls. Last year, there were only 18 and as of this writing in September, there were just 10 in 2016. It is hoped that locals are learning to leave the moose alone. It’s just as important not to encourage them by feeding them. Moose are browsers and rich foods like carrots or apples might make them ill — which may explain why they bedded down under that apple tree. Feeding also habituates them to humans, which makes any wild animal a bit more dangerous. If they have the expectation of food, they may become aggressive if it’s not forthcoming. So, let’s remember what the city says: If moose show up in your yard, do not try to remove them yourself. If they are minding their own business — even if their business happens to be eating your tulips — let them be. Don’t feed them. Keep the dog inside. And post the video on Facebook. 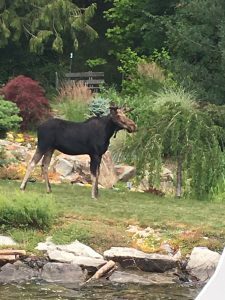 Moose on the loose in your yard? Do not attempt to haze it yourself; call Bonner Dispatch at 208-265-5525 or Fish and Game at 208-769-1414. How do I get permission to use the first photo on the cover of a book I am writing on urban ungulates?